Pride starts the celebration of America’s freedoms. Capitol Hill’s 4th of July continues it. The yearly Cal Anderson Independence Day Community Picnic has historically been held — in true irreverent Capitol Hill fashion — as a belated after-party. This year, the party’s organizers have decided to change things up: the picnic will be held Thursday, July 4th. Go figure. Planned activities include several musical performances, a pie eating contest (courtesy of local pie-ery High 5), and a Pet/Human Look-a-Like Contest. 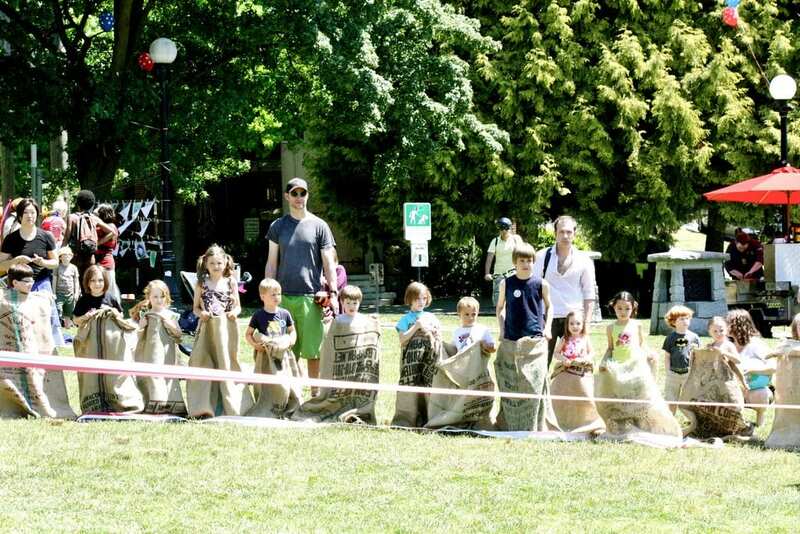 The picnic will also feature a free family-friendly root beer garden, with ice cream and a tasting of root beers from Snoqualmie Falls Brewing, Crater Lake Soda and Rogue. Organizers are expecting around 3000 guests throughout the day, and will be giving out free beef hot dogs (and veggie dogs) to the first 500 who show up. The day’s schedule and highlights are below. You can also learn more on the Cal Anderson Park Alliance site. CHS will be there — you know you want a free CHS crow tattoo. Noon to 5 p.m. Free! Family-friendly celebration with live music, kids activities, root beer garden and more! Free beef hot dogs and Field Roast veggie franks from noon – 2 p.m. or until they run out! And yummy zpizza for sale from 2 – 5 p.m.
12:55 – 1:20 p.m. Raffle to win prizes from local businesses! 3:35 – 4 p.m. High 5 Pie Eating Contest & more raffle! We’ll have more on the fireworks end of things closer to the holiday. The annual Capitol Hill Independence Day event started in 2002, three years before there was officially a Cal Anderson Park. “When the park was nothing more than a small running track along the water reservoir, neighbors would meet on the north end of the reservoir for a small picnic,” said Randy Wiger of Seattle Parks. When the park opened in 2005, the gathering grew, with both Cal Anderson Park Alliance and The Stranger helping plan and publicize. 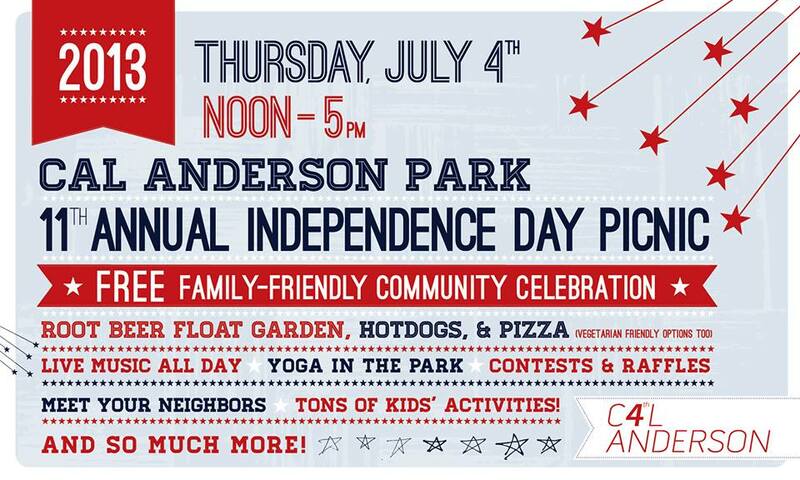 This year, the Cal Anderson Park Alliance is hosting the picnic on its own. The picnic’s organizers are looking for volunteers to help at the event. Interested parties can reach out to info@calandersonpark.org.